Yu-Gi-Oh! TRADING CARD GAME Hidden Summoners is Fall 2018’s 60-card, all-foil booster set, and it’s packed with 3 new Deck themes that use multiple Summoning methods! Each Deck strategy introduced in Yu-Gi-Oh! 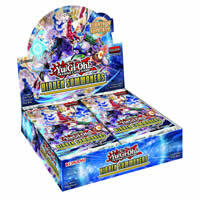 TRADING CARD GAME Hidden Summoners combines the ﬂexibility of Link Summoning with the raw power of another type of Special Summon. 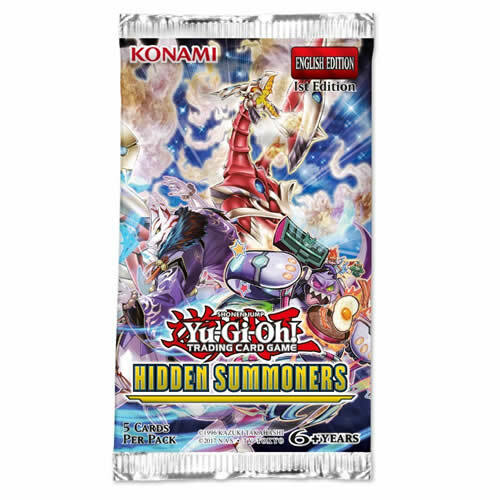 • Set includes 40 super rares and 20 secret rares to collect. • Contains 3 new deck themes. • 5 cards per booster pack. • All foil booster set.